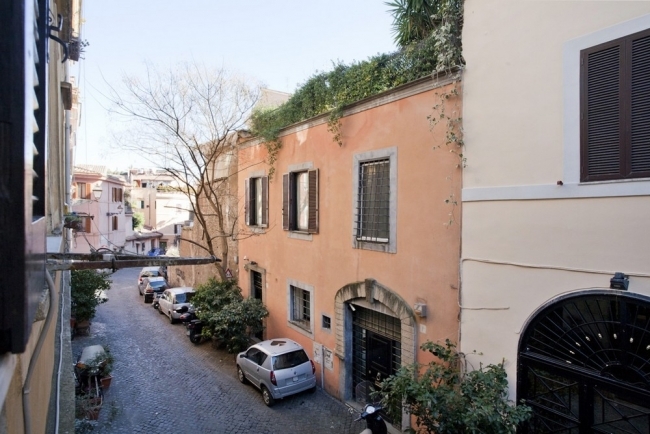 One of the oldest neighbourhoods in Rome, Trastevere was a predominantly working class district until the 1960s, when the middle and upper classes moved in. Today both tourists and Romans enjoy the vibrant nightlife in the local bars and restaurants. This cosmopolitan neighbourhood is home to a large American community, as well as many Europeans (primarily German and French). Though it has become very boho chic, the neighbourhood’s narrow streets still offer a glimpse of the old world. 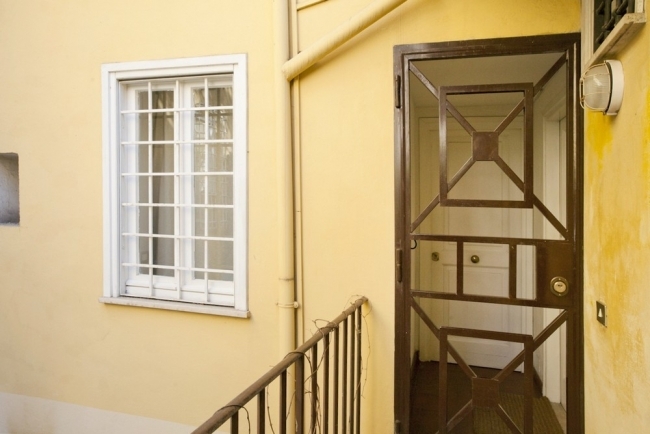 The apartment itself is situated on one such lane. 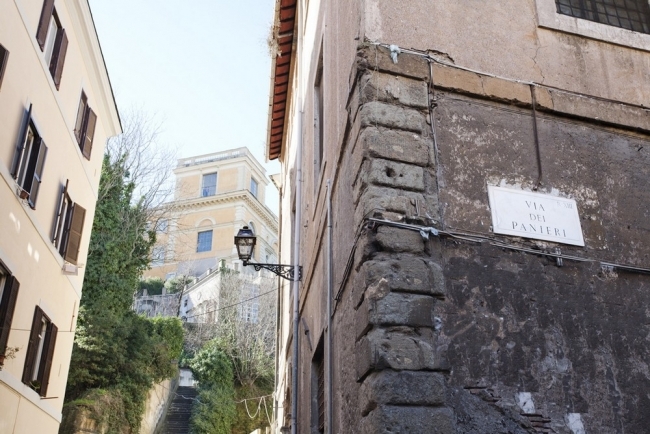 Via dei Panieri is within walking distance of the church of Santa Maria in Trastevere (10 minutes) and the Villa Farnesina (10 minutes). Piazza Farnese is just on the other side of the Ponte Sisto pedestrian bridge. 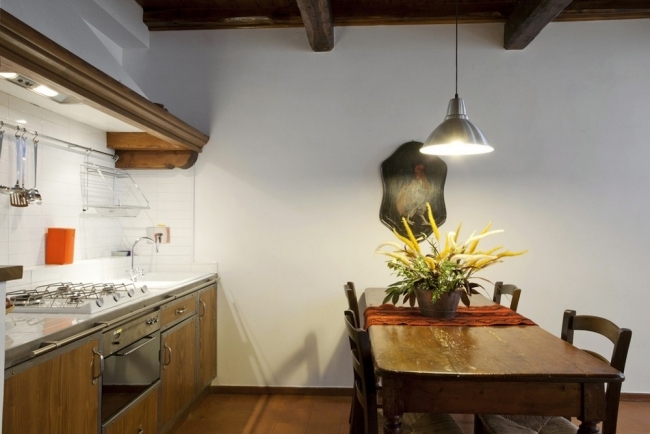 This second-floor apartment (57 m²) is spacious and well laid out. There is no elevator in the building. 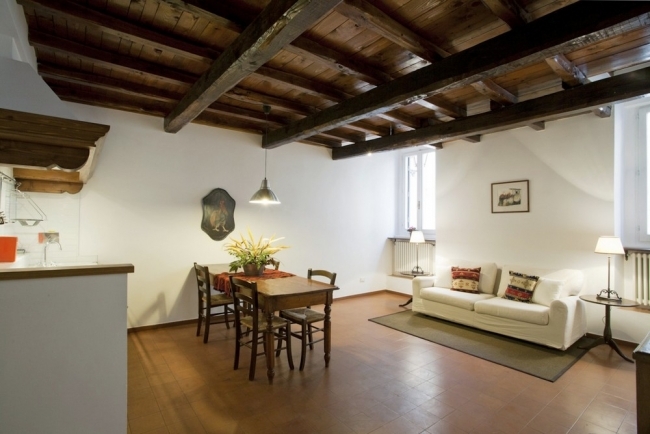 The exposed ceiling beams and antique terra cotta tiles lend the apartment its charm. 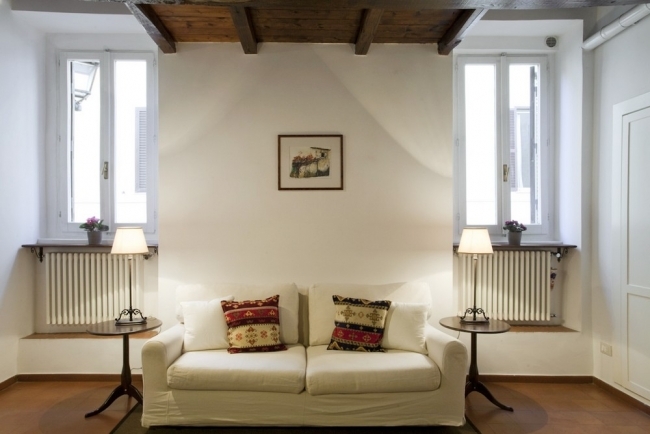 - The living room (25.8 m²), which has a sofa-bed, a buffet, an armchair, and a coffee table. The dining area has a large wooden table with four chairs. 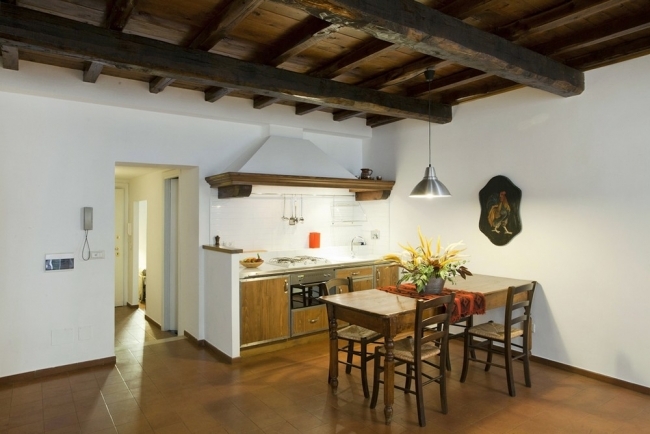 Two small wood-framed windows (southeast facing) provide a beautiful view of a picturesque Trastevere alley. 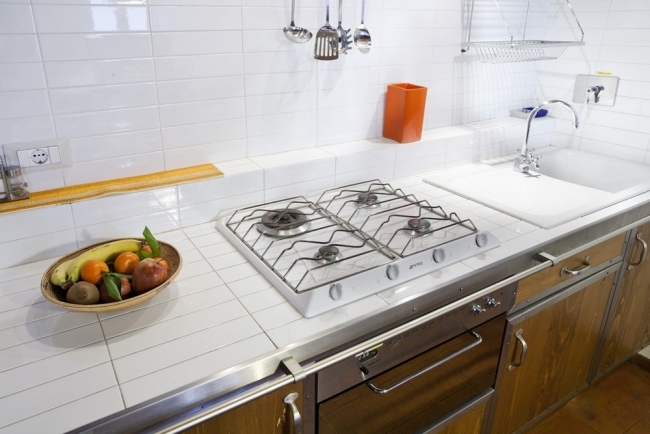 - The American-style kitchen is in the living room and is fully equipped with all the modern conveniences (fridge, gas stove, electric oven) and cookware. - There is a drying rack and six folding chairs in the closet (2.2 m²). 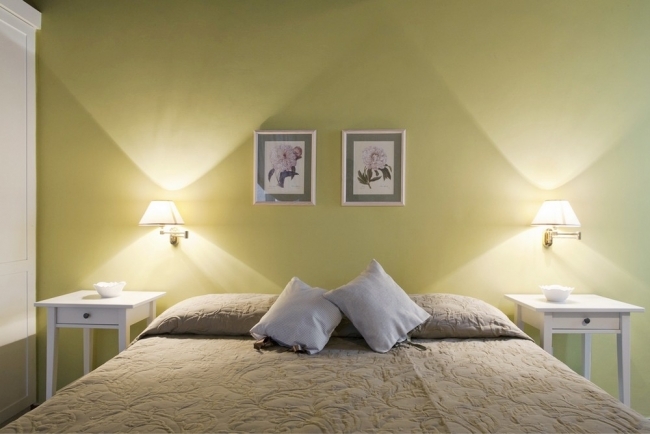 - The first bedroom (8.5 m²) has two single beds and a bedside table. The bedroom leads to the bathroom and a second bedroom via another small hallway (2.7 m²). 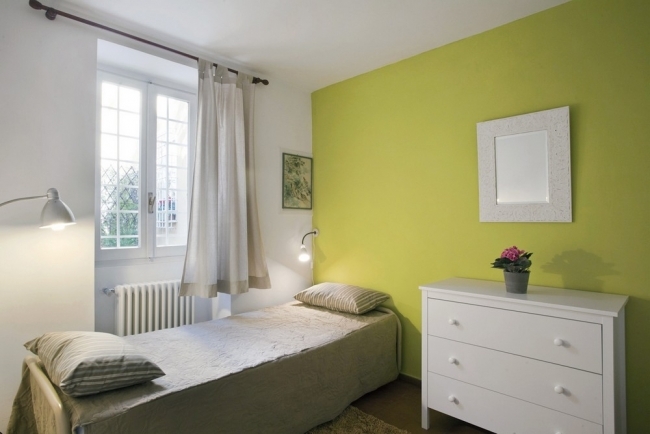 The second bedroom (10.5 m²) has a double bed, two bedside tables, a wardrobe and two windows that overlook the alley (one facing southeast and the other, southwest). 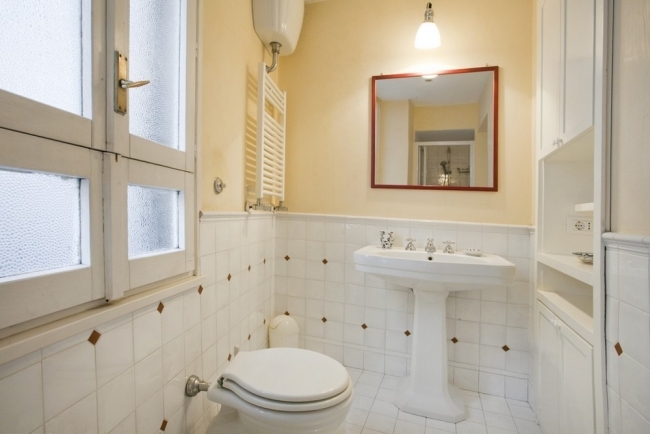 The bathroom (4 m² - southwest facing) is fitted with a shower stall, bidet, and toilet. 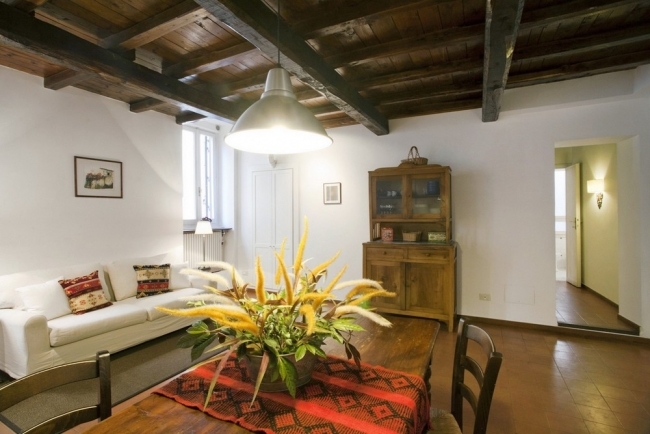 The apartment is situated in a very picturesque and quiet part of Trastevere. Warning: The stairs to the apartment are steep and narrow. There is a cloakroom at the Termini station open from 6 a.m. to midnight at quay 24, in the basement. Cost: 3.80€ per bag for 5 hours.